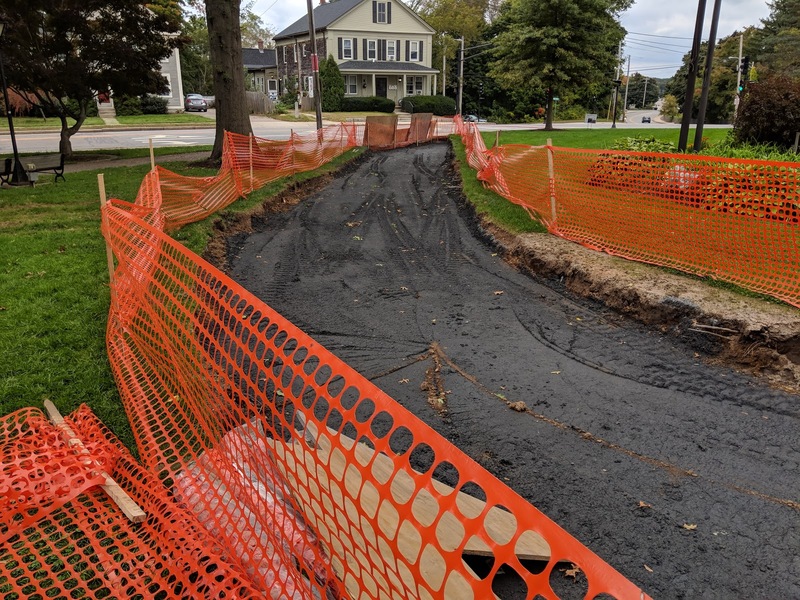 "The Veterans’ Memorial Walkway is starting to take shape on the Town Common, a month after a ceremonial groundbreaking was held at the spot of the planned path. This week, Department of Public Works workers have been clearing and putting down a foundation of stones in the newly designed path in front of the current veterans memorial. The path is now cleared and ready for the granite curbing. Crews will place the curbing this weekend. Workers will place granite slabs along the path as well as the granite dividers along the walkway, between the dedicated bricks. An official dedication ceremony will take place once the pathway is complete, scheduled for Veterans Day (Nov. 11), but applications to buy more bricks will stay open for years to come." "State Sen. Richard Ross is apparently not interested in debating his Democratic challenger before the Nov. 6 general election. Ross, a Republican from Wrentham, “has refused the offer” to participate in a face-to-face candidates forum with Democrat challenger Becca Rausch of Needham, according to an email from the presidents of three local League of Women Voters chapters sent to the campaigns. Ross did not respond to two emails and five phone calls requesting his attendance at a candidates forum to be cablecast on the Wayland public access station, according to the Monday email from LWV presidents in Wayland, Wellesley and Needham. A four-term incumbent, Ross has represented the Norfolk, Bristol and Middlesex District since winning a special election in May 2010."